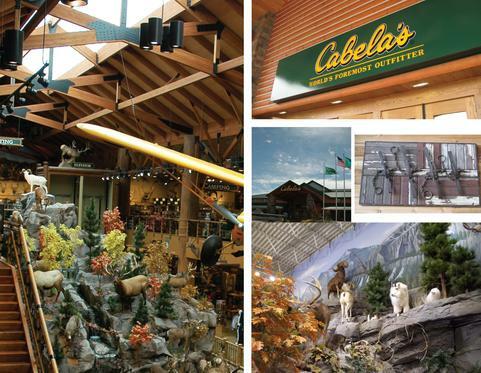 Cabela’s retail division operates stores throughout the USA and Canada. 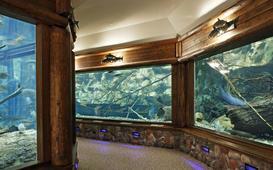 Cabela’s showrooms provide a truly unique shopping experience combining wildlife museum quality displays, educational centers as well as complete line of outdoor gear and clothing. 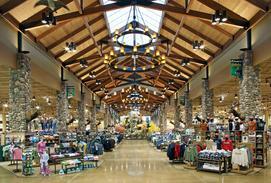 They offer outdoor enthusiasts and their families with an entertaining shopping experience. Behind the scenes of a very detailed, themed decor, the HVAC systems provide a comfortable environment without intruding into the open to structure concept. Package rooftop units combined with a sophisticated system of temperature controls provide a user friendly and controllable system especially critical in the harsh winter conditions of Canadian cities. New store designs included utility coordination with local civil engineering firms, providing structural requirements to support HVAC equipment and large pipe runs, working with national account vendor to select rooftop units, assisting with design for aquariums and water features to provide filtered and dechlorinized water systems for waterlife, fire suppression system schematic plans and design criteria. During construction, site visits were conducted to review rough in work and perform punchlist documentation.